Why plants from Puglia’s rocky plateau – the Murgia? It is no coincidence that Frederick II of Swabia was enchanted by this land. He defined is as “stillante latte e miele, prediletta tra tutte” (“oozing milk and honey, the most favourite of them all”). The landscape surrounding the Castel del Monte – the most famous of Frederick II’s castles – is rough: sun-burnt, wind-swept rocky hills extend as far as the eye can see. But it is precisely because of the severity of its geological and climactic characteristics that this land keeps surprising with the extraordinary generosity of its medicinal botanical species. Many have strong eudermic properties: the necessity to adapt to such extreme conditions makes the plants particularly strong, and full of resources. Wild plants boast a concentration of active ingredients which is vastly superior compared with cultivated plants. Their endure daily a real struggle for survival, which makes them more resilient and tenacious, while the life of cultivated plants is guaranteed and promoted by human intervention. In plants, the majority of active ingredients have a protective and defensive function: for this reason they are especially present in wild plants, which endure frequent moments of “crisis”. Industry tends not to use wild plants much, due to the high costs of the harvest and the limited availability of raw material. We at Potentilla have decided to go for a limited line of products, in order to use the most powerful active ingredients nature can offer. Furthermore, the use of local raw material allows the ingredients to be extracted as soon as they have been harvested, when the plant still retains what we call “its soul”. 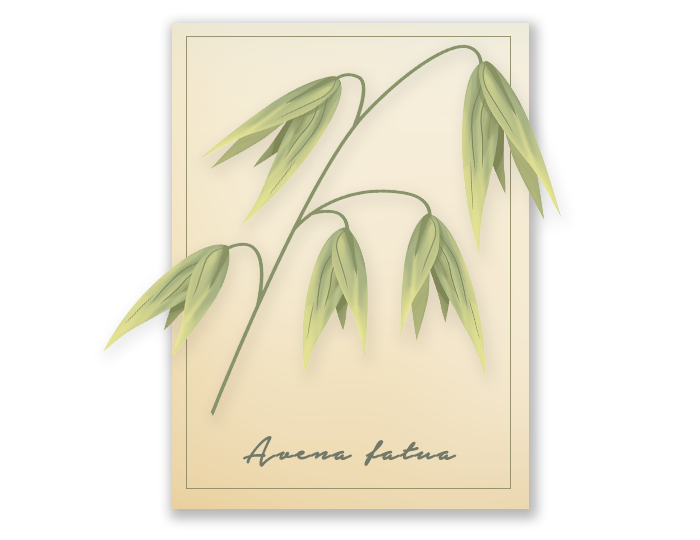 Local farmers normally classify wild oat as a weed; not many know that this very common plant acts efficiently on human health. Edward Bach saw the potential in it, and listed Wild Oat as flower number 36 out of his 38 flowers, and used it to cure states of irritability and lack of determination. This specific action can also be applied to epithelial cells: for centuries this plant has been used to improve the skin thanks to its hydrating, soothing, and rebalancing qualities. Avenine:toning alkaloid. Beta-glucans: linear polysaccharides of glucose, to hydrate, heal, and protect against UV rays Lysine: essential amino acid with several functions, including the production of collagen which helps repair damaged cells. 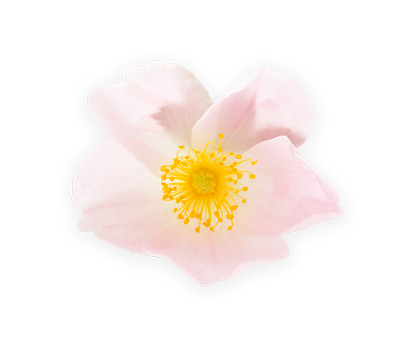 The mother of all roses, dog rose is simpler than her daughter-varieties: it only has five petals. It grows in shrubs in woods and uncultivated fields, and it is well-known for the exceptional content of vitamin C of its hips, which by far surpass the quantities found in citrus fruit. 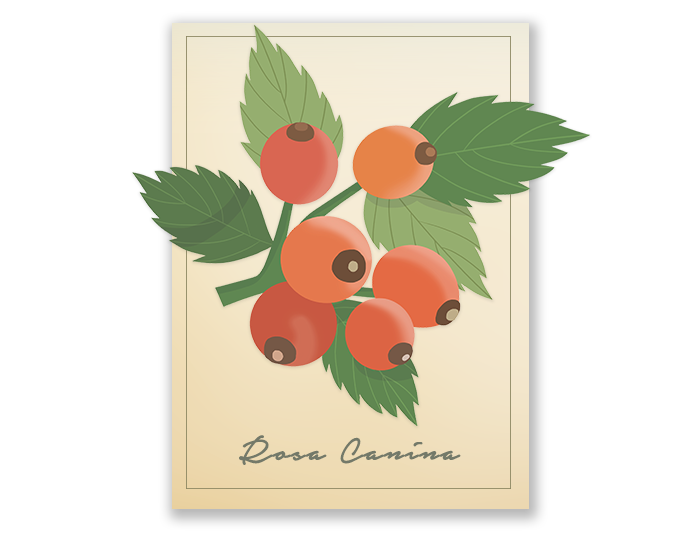 In 100 g of orange pulp we find an average of 50 mg of vitamin C; for the same weight of dog rose hips we find 2200 mg! Vitamin C and E: together, they protect the hydrophilic and lipophilic properties of the skin, reducing the damage created by UVA and UVB rays. Bioflavonoids: composite polyphenols, strong natural antioxidants, very effective in contrasting the aging process, and in preventing the formation of age spots. Linoleic, oleic, and linolenic fatty acids: these are substances the human body cannot produce by itself, but they are precious in nourishing the epidermis. Pliny the Elder knew well the healing properties of wild carrot; these have been widely confirmed by modern scientific studies. 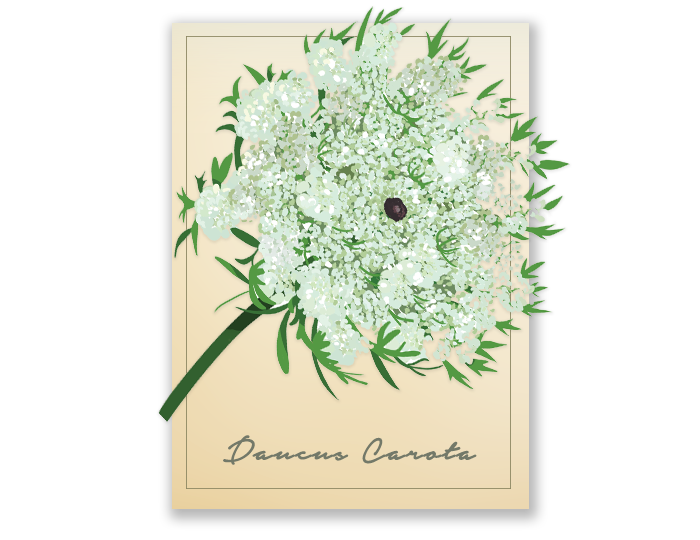 Wild carrot is particularly effective in protecting the skin; it encourages the tanning process though preventing the aggressive action of ultraviolet rays. For this reason it is used in the cosmetics industry to extract carotene. Other components such as estensin provide a precious aid in improving the elasticity of the skin. Beta-carotene (pro-vitamin A): a necessary element for the correct growth and reparation of tissue; it favours the smoothness and health of the skin, protecting it from pollution (it has an anti-oxidant effect against free radicals). Estensin: a glycoprotein present on the cell membrane of the carrot. Thanks to the high percentage of hydroxyproline it is similar in composition to collagen, and is therefore excellent in promoting the elasticity of the skin. This is the ‘flower of the sun’ par excellence, as we can see from its yellow-orange colour and its Latin terms Sponsa solis “spouse of the sun”, and Solesquium “that which follows the sun”. 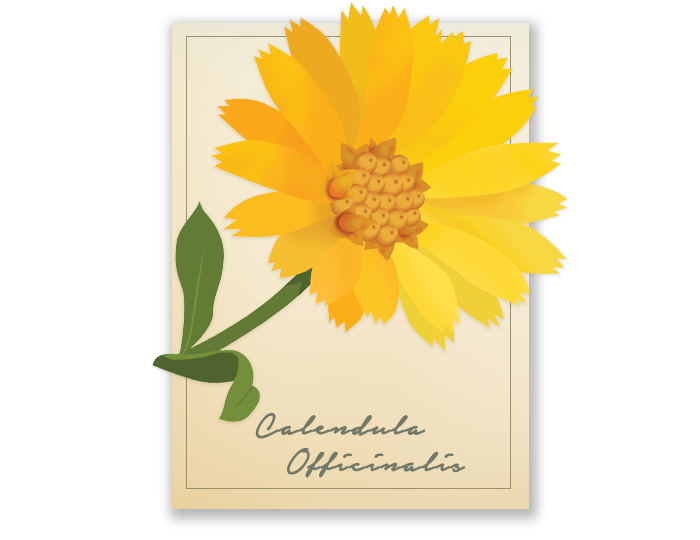 Calendula Officinalis in fact has all the virtues of the sun, and gifts them to our skin by making it glow. It was known in ancient medicine as a cure for all kinds of ailments: from redness of the skin and insect bites, to ulcers and eczema. Malic acid:its skin-lightening properties have a brightening and softening effect. Triterpenic alcohols and glycosides: anti-bacterial and anti-fungal, with skin-toning properties. Carotenoids: to improve the look of the tissues with its restorative effects. 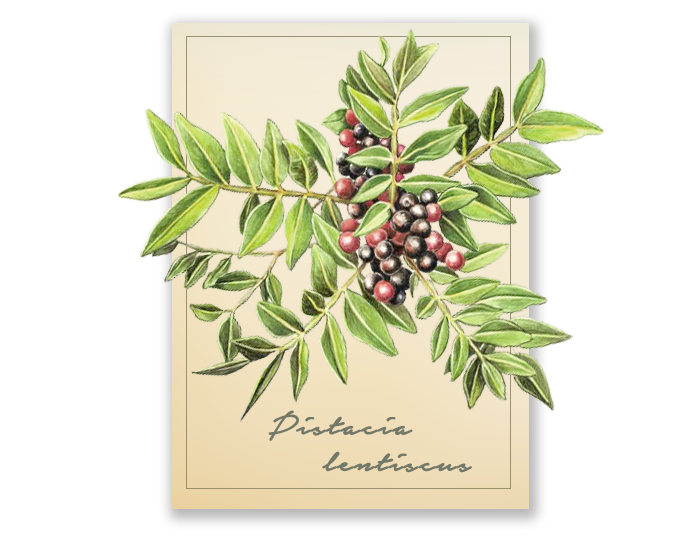 In the past, this plant was used in every part: its active ingredients are in fact present from roots to trunk, leaves, and berries. Its woody branches, for instance, produced a resin called “Chios mastic”, from the Greek island where the plant seems to have come from. Pliny the Elder (23-79 A.D.) recommended the use of the oil of its berries to cure several skin disorders. Fatty acids: hydrating and nourishing.Vitamin E:antioxidant par excellence, it contrasts the aging process with its protective action on cell membrane. Phytosterols: precious allies of the skin, they promote the metabolic synthesis of collagen and elastin fibres; it is clear that the endogenous production of these two substances is vital in anti-aging action, and in the regeneration of tissue tropism. Its name comes from the Greek malakè (to soften): a key virtue of its mucilage, which acts on the skin as mucous membranes on tissues, protecting it from external aggressions. 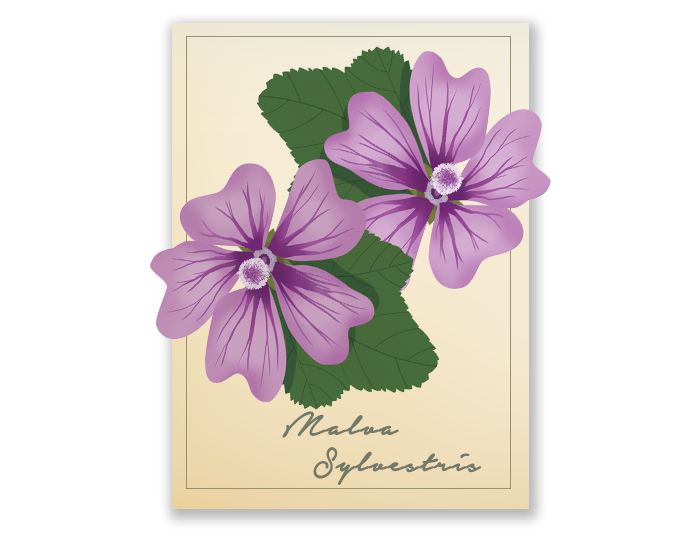 Thanks to the high content of this mucilage, mallow boasts emollient, soothing, refreshing, anti-inflammatory properties. Its leaves used to be the main ingredient in the ancient “unguento di foglia santa”, which was applied at night before going to bed to fully benefit from the softening properties of this powerful plant. Chlorogenic and caffeic acid:anti-inflammatory and toning. They protect the skin from the damage of UV radiations, especially those with the most dangerous wavelength (UVB and UVC). Galacturonic acid: found in its mucilage, it has gelling and emollient properties. Anthocyanins (malvin, malvidin): anthocyanins are glycosides which can be found on the blue-purple flowers and fruit. The function of these glycosides in nature is still to be fully discovered: apart from attracting pollinating insects, studies have demonstrated their ability to protect plants from bad sun radiations. This specific function is in fact what affects the skin: they protect from the oxidisation induced by ultraviolet light (UV). 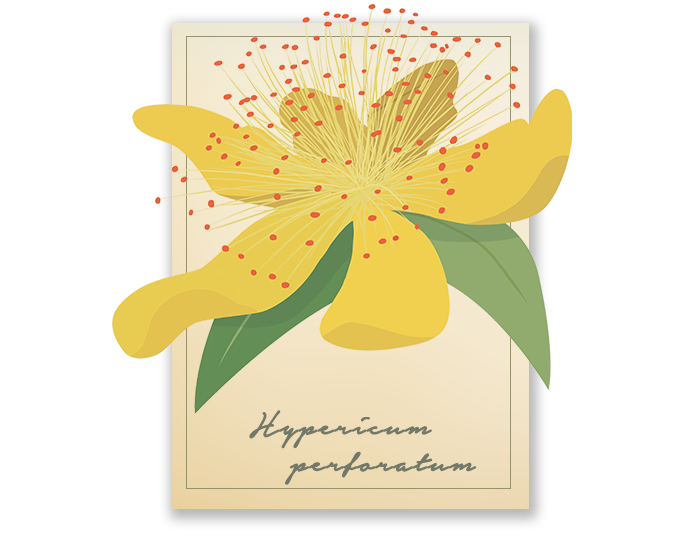 Known in popular tradition as “St John’s herb”, hypericum is one of the nine “magic herbs” to be picked on the night of the 24th June to produce miraculous water. Hypericum oil, with its bright ruby red colour, has been used in herbal medicine for over 2000 years; to this day it is very much in use thanks to its healing, antiseptic, and regenerating properties. It is also a proven anti-depressant, and keeps the skin from sagging thus deserving the name of the “most powerful natural anti-wrinkle agent”. Hypericin and Hyperforin: a naphthodiandrone and a phloroglucinol stimulating cellular renewal, reason for which hypericum oil is an excellent remedy against burns and wounds. In the cosmetics field, its action is toning and firming for the skin. Flavonoids, Xanthones, and Tannins: highly anti-oxidising polyphenolic compounds, they “sweep away” free radicals. 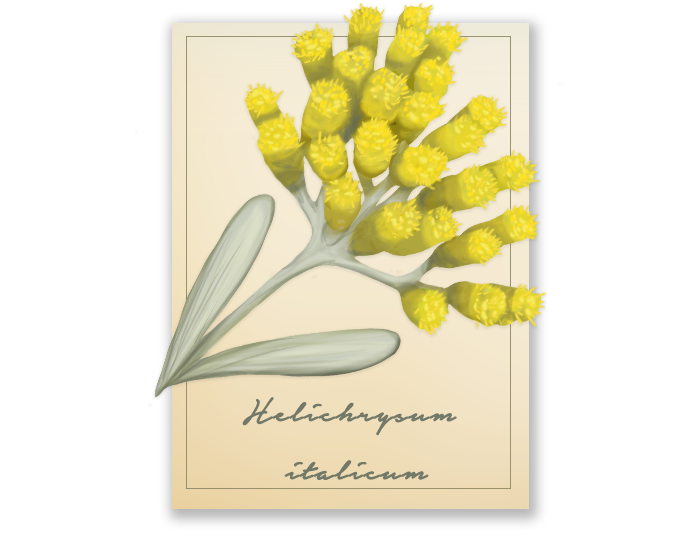 In the early summer months, the bushes of helichrysum paint the rocky pasture land of the Murgia. Their scent is unique, and almost announces the precious virtues of this small flower. It was once considered sacred, so much so that it was used to crown the heads of statues of gods, to complete the beauty of the sculptor’s work. 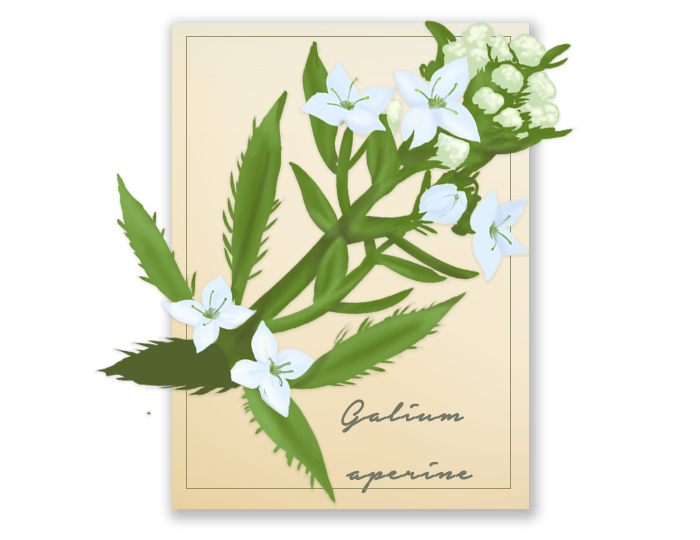 According to ancient Salerno pharmacopoeia, it is a warm and dry plant, just like the time of its harvest and like the earth which gives it life. Its graceful little flowers enclose the strength of the summer sun; after all, its name means “gold sun”. Essential oils (pinene, eugenol, linalool): antiseptic and antioxidant effects. Caffeic acid: strong antioxidant and anti-inflammatory properties, to protect the skin from the negative effects of UV rays. This plant was used in the past for many aims. It is defined as linfatic tonic by herbalists (Hoffmann, 2003). In the past it was valued as love filter, in fact Cleavers was used as a love medicine by one tribe, the infusion of plant was used as a bath by women to be successful in love. It has a lot of beneficial effects on the skin, thank to its capacity to stimulate the linfatic system. phenolic acids (caffeic, gallic): These compounds have an antioxidant activity, that is a promising tool in eliminating the causes and effects of skin aging tannins: their astringent action may act against lymph stagnation, that provokes puffiness.